Learn how Dameware provides an affordable, stable remote support system that gives you better access to your user's computer to troubleshoot and fix everyday system problems. Hello! My name is Craig McDonald, and I'm a Senior Product Manager here at SolarWinds. In this video, we'll cover how to get around some of the headaches associated with using Microsoft Remote Desktop Protocol, also known as RDP. Let's go ahead and get started. A common customer requirement is to require the end user's permission before initiating a remote session with that user's machine. 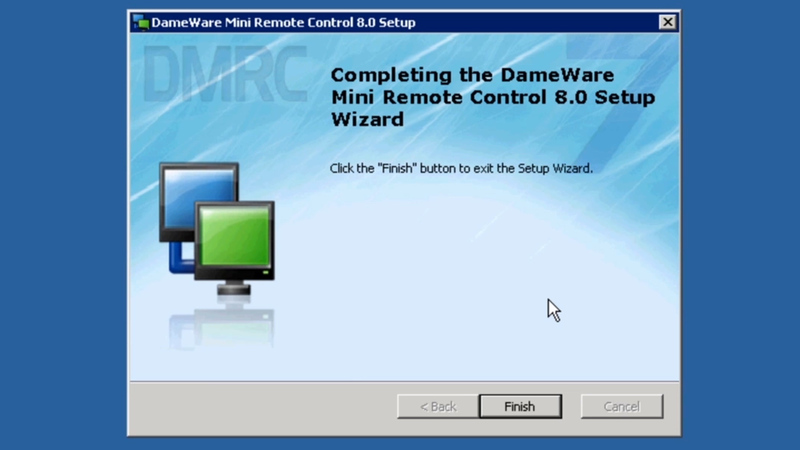 This is easily done through a very simple configuration of the [Dameware Mini Remote Control] MRC Client Agent. 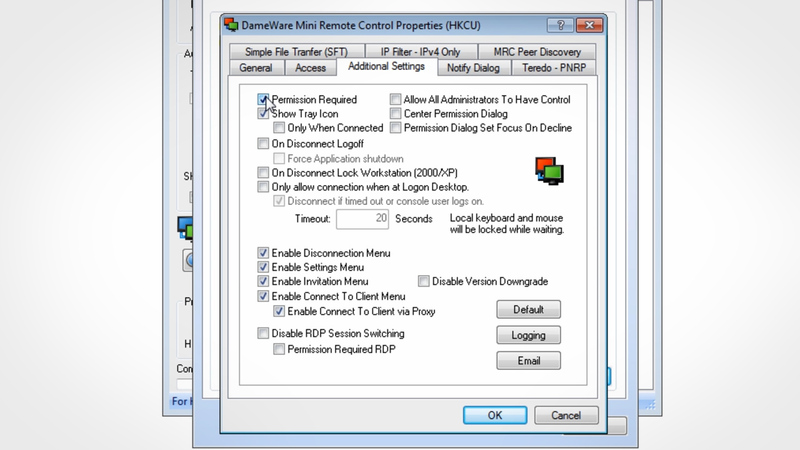 While on the remote control product, open the MRC Client Agent and then go to Additional Settings. Then check the ‘Permission Required’ box. By selecting this setting, the end user will be prompted to allow or deny any MRC connection attempt to that machine. 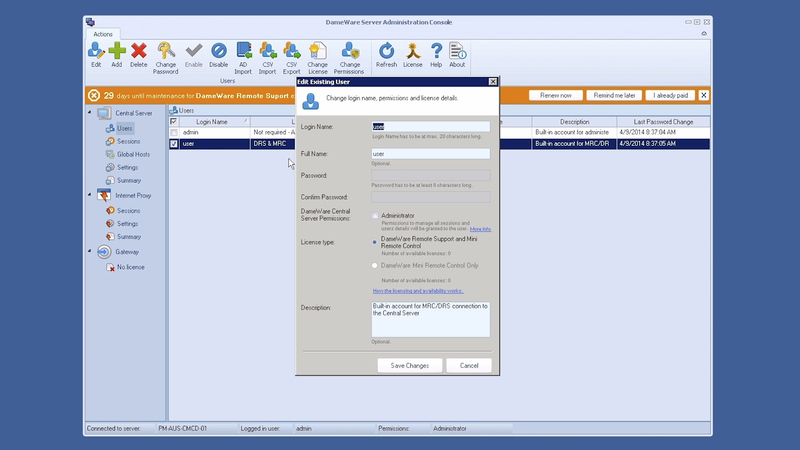 There are also a number of other settings that can be configured on the MRC Client Agent that provide a very granular degree of control over how the admin can connect and interact with the end user on the remote system. Here we see the Notify dialog, and by checking this setting the end user is always notified that a session is in progress. Here we see the IP Filter where you can define IP ranges that are allowed or not allowed to connect to this machine. And on the Access tab you can restrict access to the remote machine by requiring the admin to be a member of specific groups. Now let's go ahead and initiate an MRC session with a remote machine. Because we specified that permission is required, the end user will see a prompt before the session is initiated. One of the main benefits of using MRC instead of RDP is the ability to . 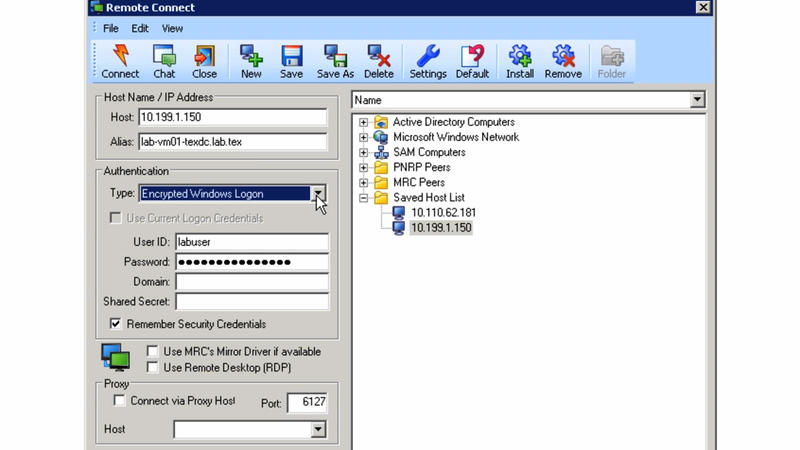 When using RDP, the end user on the remote system is effectively locked out while the administrator is remotely connected. This is not the case with MRC. With MRC, the administrator and the remote user can interact with each other on the screen. It's as if the administrator were standing over the end user's shoulder. Let's look at a few ways that I can interact with the end user. I can chat with the end user without having to open a separate program. I can also capture a screenshot with one-click instead of using a third-party program. I can highlight the cursor so I can easily distinguish between my desktop and the end user's desktop. MRC also allows you to lock the keyboard or mouse so that the end user doesn't inadvertently enter characters or move the mouse during a fix. Want to find out more? Check us out at Dameware.com.